1. A Super Bowl ring. 2. The ability to develop a great quarterback or hire someone who can. 3. Been in charge of their side of the ball. 4. Ability to hire a good coordinator for the other side of the ball. Among the most popular candidates, the guys who fit that description are Darrell Bevell and Teryl Austin. 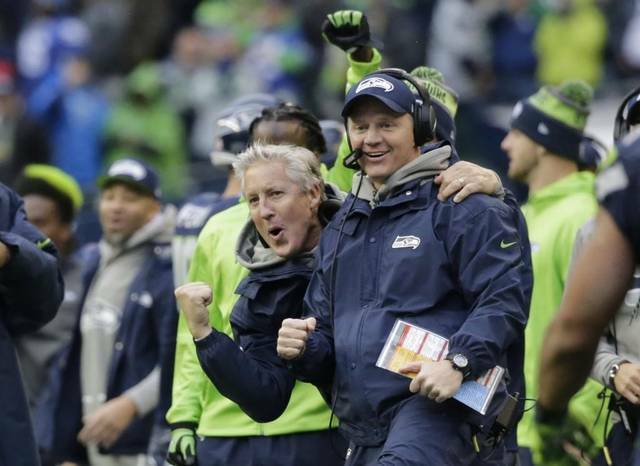 Now isn’t the time to break the candidates down completely, but Bevell has consistently been in charge of a top-10 offense on a team that won a Super Bowl, while developing Russell Wilson and could retain Ed Donatell to be his coordinator as they coached together in Green Bay. Austin was the defensive backs coach for the Ravens the last time they won the Super Bowl and has previously worked for Ken Whisenhunt, who will probably be available. But neither has ever been in charge of an entire team before and there’s always a chance they could Trestman the Bears. The Bears scheduled a press conference for next Wednesday. If they were going to fire Fox, it would be on Monday. Perhaps they didn’t read what I wrote last week or perhaps they just don’t like the quality of the available candidates. If Matt Barkley were a recent draft pick, Sunday’s game would be viewed in an entirely different light. Instead, it’s going to be sold as proof that he can’t play. Games like Sunday happen. Russell Wilson just had a five-interception game of his own, Drew Brees had consecutive weeks in which he threw three interceptions with zero touchdowns. I don’t blame Barkley for two of the interceptions. One was a deflected pass and the other was a jump ball to Alshon — very similar to a play they hooked up on for 37 yards earlier in the game — but instead of going for the ball, Jeffery flew 10 yards out of the way. Those plays happen to everyone. The crappy part is that Barkley, in his fifth career start, made quite few good throws too. His touchdown pass before halftime was a thing of beauty. He threw two consecutive 18-yard darts, one of which converted a third-and-18. There were a lot of choose from. The kinds of throws that, if a recent draft pick had made, teams would be excited about. But, he isn’t a recent draft pick. I don’t know what Barkley is. I don’t think he’s a franchise quarterback. I’m leaning against grading him as a potential starter. But I have enjoyed watching him. When Daniel Brown dropped a potential touchdown pass on second down from inside the five-yard line and Matt Barkley threw a third down pass out of bounds, Twitter exploded with experts asking why the Bears didn’t run the ball. Perhaps it’s because they can’t run it down there. Maybe run it near the goalline? I love Jordan Howard as much as the next guy, but he averages exactly one yard per carry inside the five-yard line, less than two yards per carry inside the 10 and 2.7 yards per carry in the red zone. The Bears success on the ground tends to come on toss and stretch plays and those plays don’t work in the red zone. • Tracy Porter was as bad as you think he was. I charged four catches and 131 yards against him, along with a 28-yard pass interference penalty. The Bears need their best corner to be better than Porter next year. • Not a good day for Charles Leno, who gave up 5.5 QB disruptions, while Bobby Massie gave up 2.5 and Ted Larsen was responsible for three. Josh Sitton looked like a guy who wanted to be done with the season, giving up three bad runs. The Bears are going to win this game. I never root for draft position, but the Bears could seriously F-up by winning this game. I see four players who I think are elite prospects at positions of need and any one of them could drastically change the direction of the franchise. Of course, I’ll change my mind 100 times from now until Draft Day, but I’ve already locked in on a top-four pick, winning and moving down to sixth wouldn’t be ideal. I don’t want to have to learn more than four names this draft season. That said, the Vikings are really bad and they might hate their coach. They can’t block or run the ball and their defense mailed it in three weeks ago. The Bears are probably better than the Vikings right now. Sweet Jesus. Just end this season.